Great news! 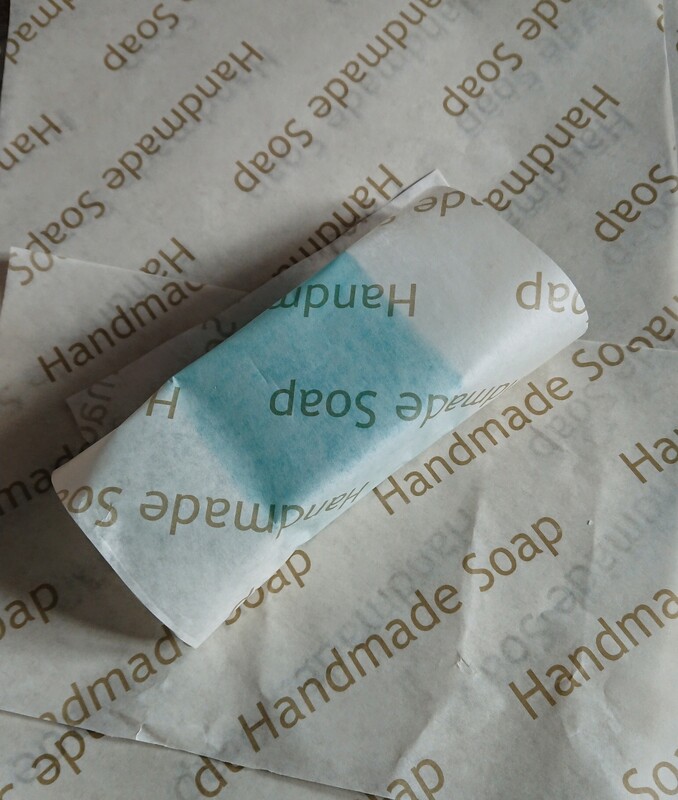 After searching for a while, we’ve finally been able to find a suitable way of wrapping our soaps without using plastic! We’re really conscious of the environment and use glass bottles and aluminium jars for our oils, balms and butters, and as much as we can, we reuse any boxes and envelopes we receive for posting products out. 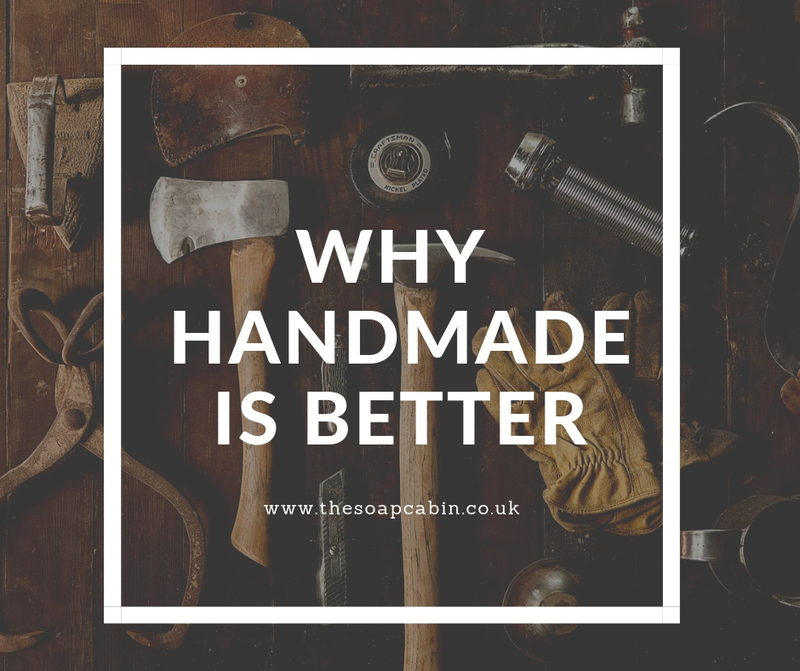 Our soaps are glycerin-based, which means they attract moisture, which is fabulous for the skin, but when out in the open, the soaps need to be wrapped for stall display, storage at The Soap Cabin HQ and for transport to stop them ‘sweating’. 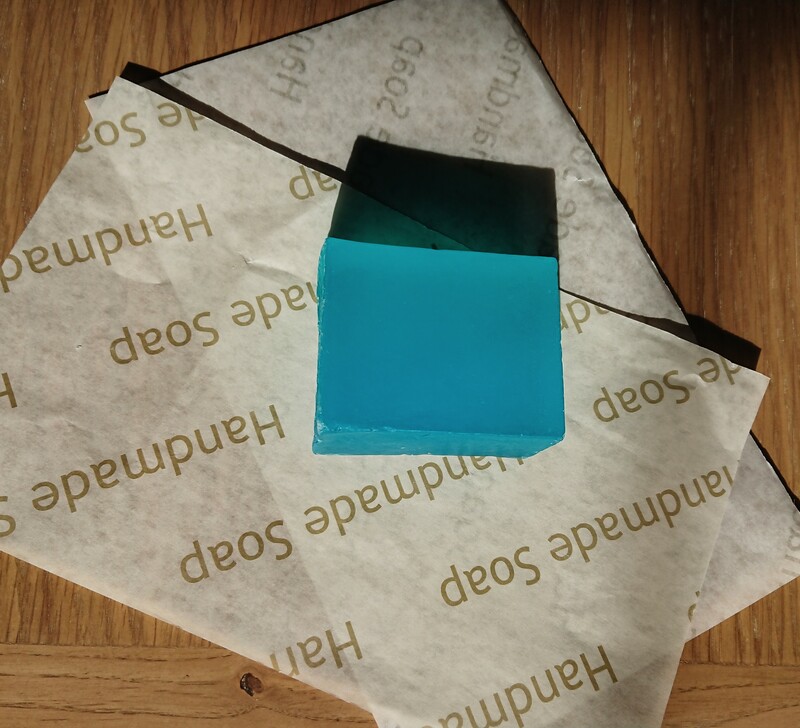 We were also concerned that customers should be able to see the soaps on display, as we make them in different colours. Greaseproof paper was no good because no tape or label would stick to it, but recently we found this amazing eco-friendly recycled paper wrap! Spring is almost with us and here at The Soap Cabin we have been looking at what events we can take part in this year. Great news – we’re going to be at Denham Village Fayre again on the end of May Bank Holiday Monday! It was sunny and very, very busy last year, so we are hoping for similar conditions this time around. I’ll also be attending a 4 day workshop, starting this weekend, learning everything there is to know (in more detail) about essential oils, which we use in our products and I’m extremely passionate about! I recently bought a wool hat and scarf set, hand knitted by a crafter in Manchester because I’ve become more and more conscious of where (and how) my clothing and other products are made, and I wanted something unique. 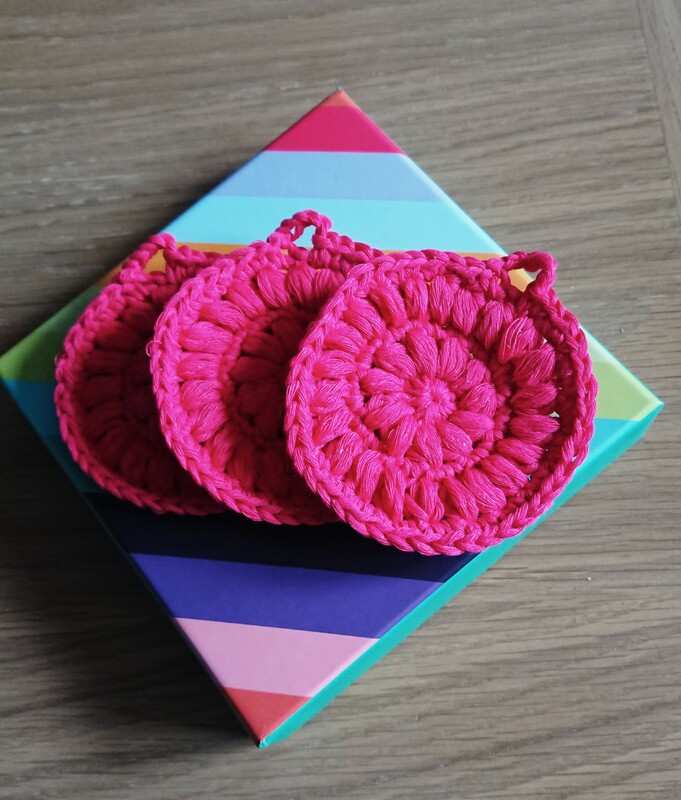 Because I was her first ever customer, she sent me a free gift – a set of handmade 100% cotton face scrubbies! You basically use them to wash your face or remove makeup. The beauty of them is that they’re washable, so you can rinse, dry and use again! In terms of makeup removal, they’re so much better for the environment than using disposable face wipes. So, I got in touch with the crafter to explain a bit about The Soap Cabin and place an order for some more. We’re very excited to say that we’ll have these handmade British products on our stall and on our online shop to purchase! It seems as though everyone is talking about coconut at the moment. Whether it be using the oil to cook with or drinking the water for health, the coconut it has become extremely popular. But even putting that to one side, we love coconut oil for its amazing skin benefits! Coconut oil (cocos nucifera) is solid at room temperature and melts onto the skin on contact. Being a natural vegetable oil produced from the meal of the tropical hairy tree nut, it is packed with essential fatty acids and vitamin E, which are vital for maintaining healthy, glowing skin. 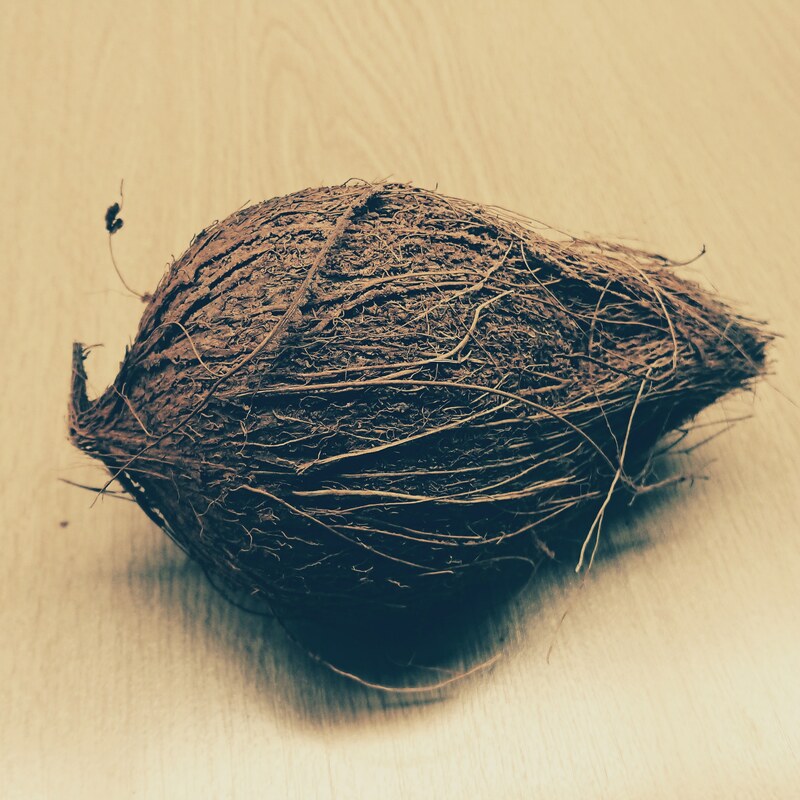 Coconut products you buy on the high street usually smell lovely and sweet, but because the raw virgin oil usually only has a very subtle scent, makers and manufacturers will often add a synthetic coconut scent to enhance the aromatic experience. So what are the benefits of coconut oil? We love to use coconut oil in all our body butters for its excellent skin boosting properties, and because it encapsulates the Caribbean skincare experience of course! Although originating from the same plant, yet not to be confused with the psycho-active drug, hemp oil has many amazing benefits! 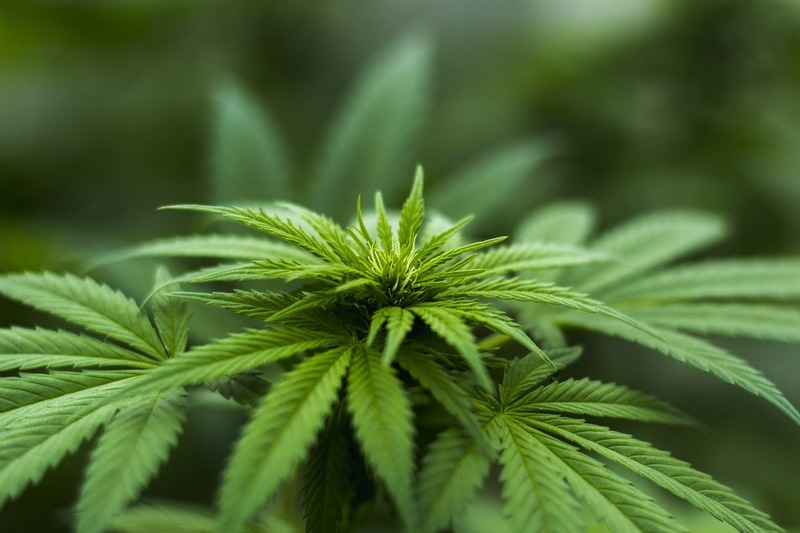 Cannabis Sativa is cold-pressed from the Hemp plant seeds (rather than the leaves), and is full of vitamins and essential fatty acids (EFAs), which keep the skin plump and soft. This light green oil has SO many amazing properties which make it ideal for problem skin, oily skin, dry skin, even acne, where the skin’s sebaceous glands go into overdrive and create more oil! The temptation is to try to remove the oil, but the skin’s natural reaction is to then produce more. Hemp oil can help balance this out by regulating the skin’s oil production. Here at The Soap Cabin, we are in the process of creating new products using this amazing skin loving hemp oil, so watch this space!